April showers bring May flowers. 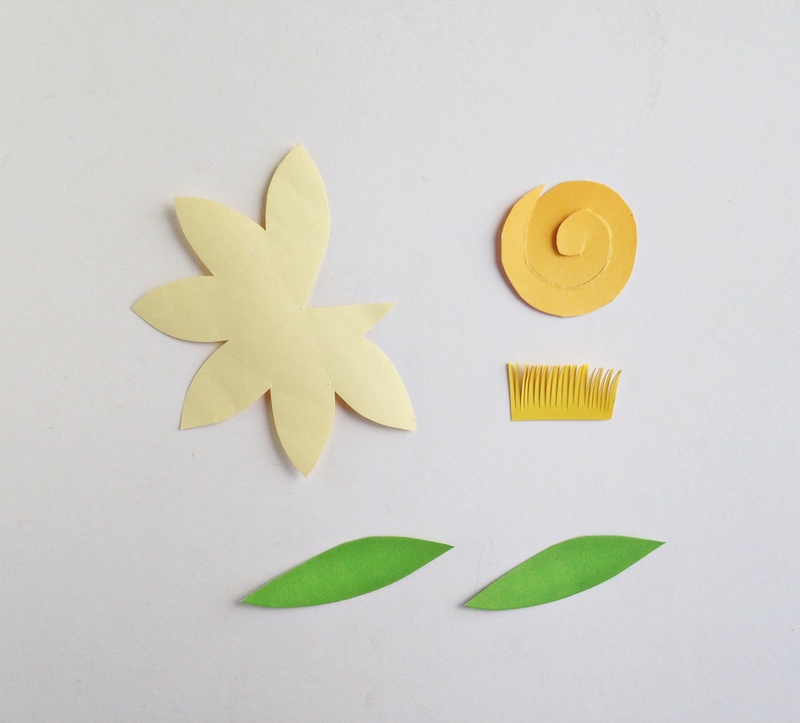 And while we are waiting for all the flowers to bloom, this simple fun Spring craft for kids adds some beauty to any space. This easy Spring craft is great for kids and for adults. The paper flowers can be made to decorate the wall or even styled and added to a vase. I love doing any kind of crafts. The kids and I love to get into the warm weather spirit with Springtime crafts. I love finding Spring crafts for kids that as an adult, I can also do. When the kids make these flower crafts we decorate the walls with them. When I make them, I like to create an arrangement with them. I love that these spring craft ideas are simple enough that we can do diverse things with them. 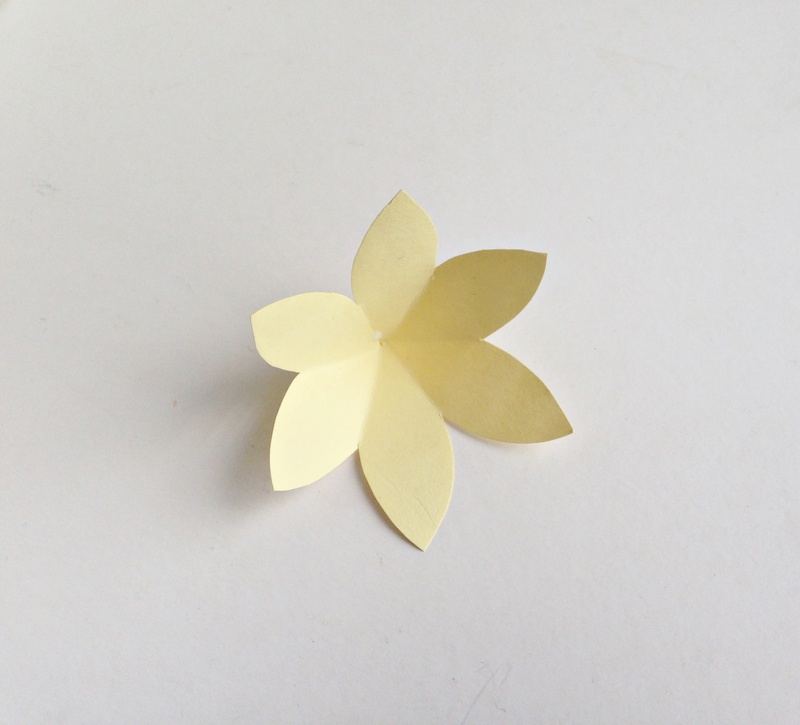 These paper flowers are easy to make. I am including a template that will make it even easier. You will be able to change up the way the paper flowers look by changing the paper or by using a little creativity. 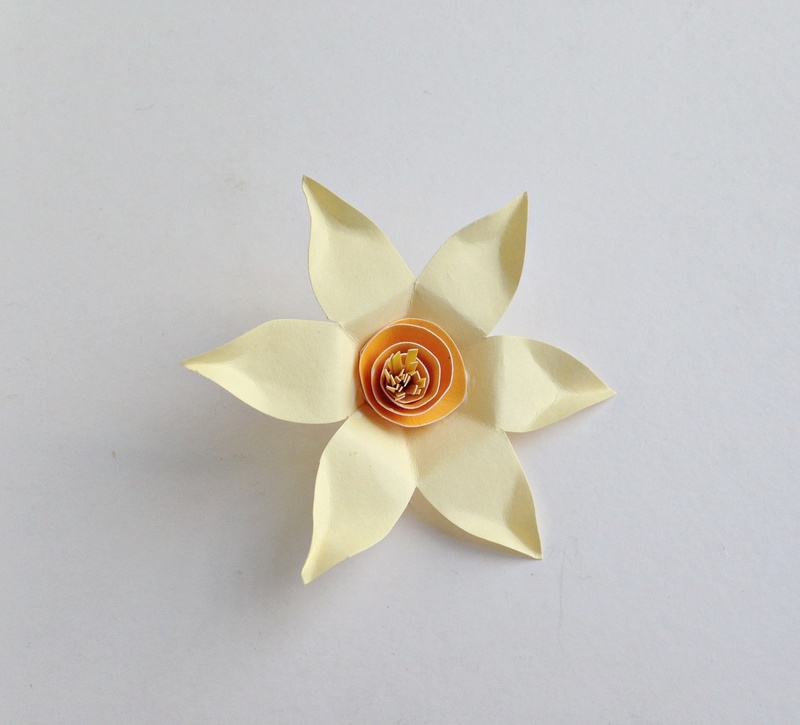 Want to make paper daffodils? 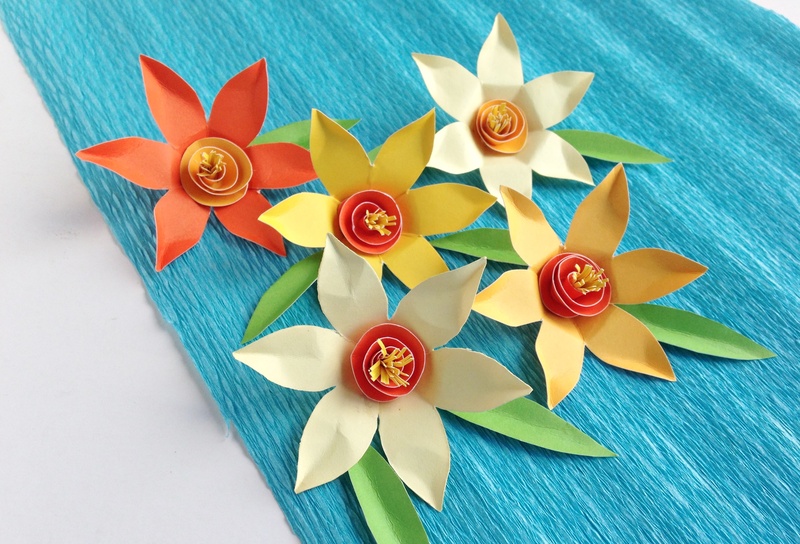 Use these instruction on how to make paper flowers and enjoy crafting. 1. Trace the patterns from the template on the selected craft papers. Cut out the patterns from the craft papers by cutting along the traced lines. Cut small fringes on the rectangular cut out. 2. 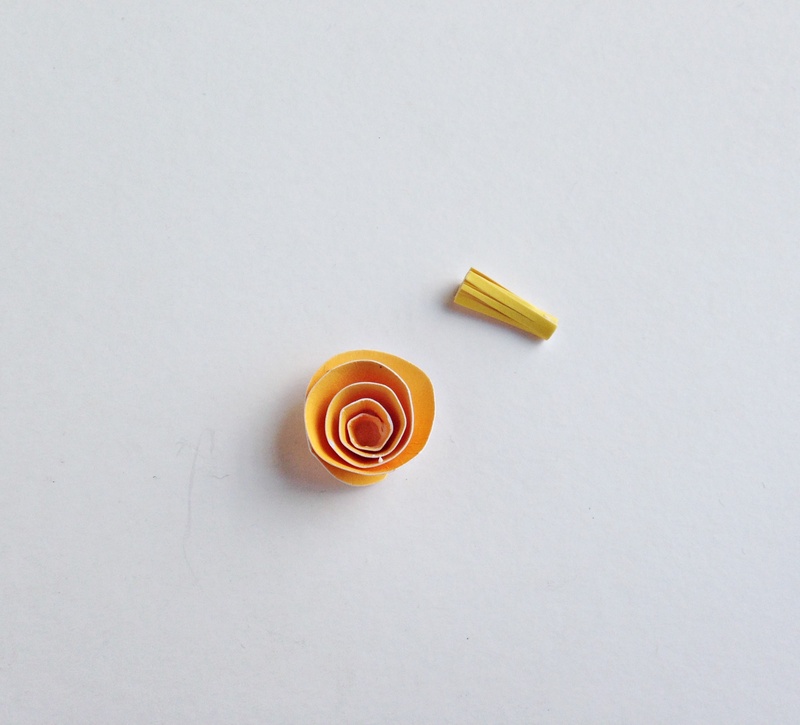 Take the 6 petaled paper cut out and create folding lines between every petal. 3. 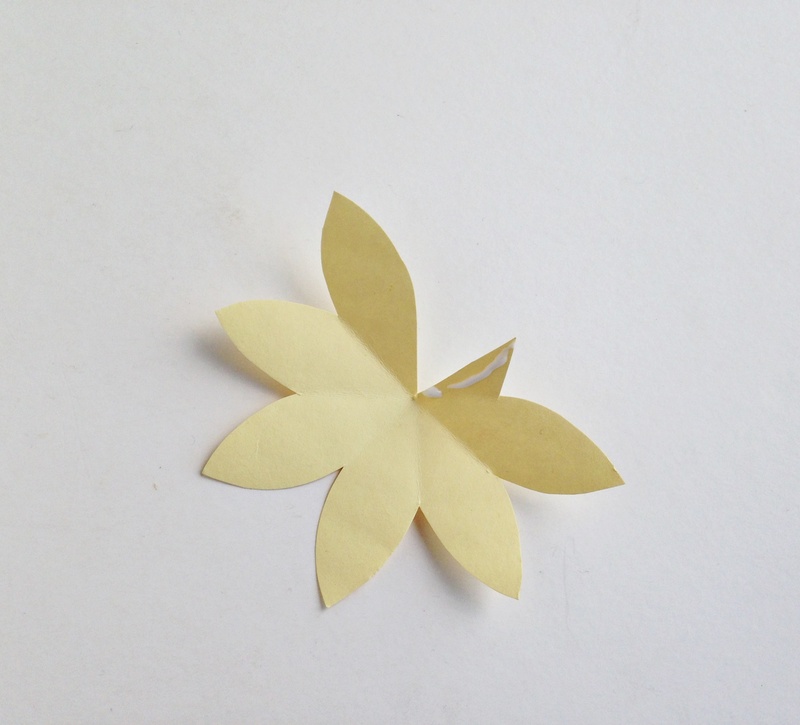 Apply a small amount of glue on the extra part of the petaled paper. 4. Join the glued part with the open end petal to close the pattern. 5. 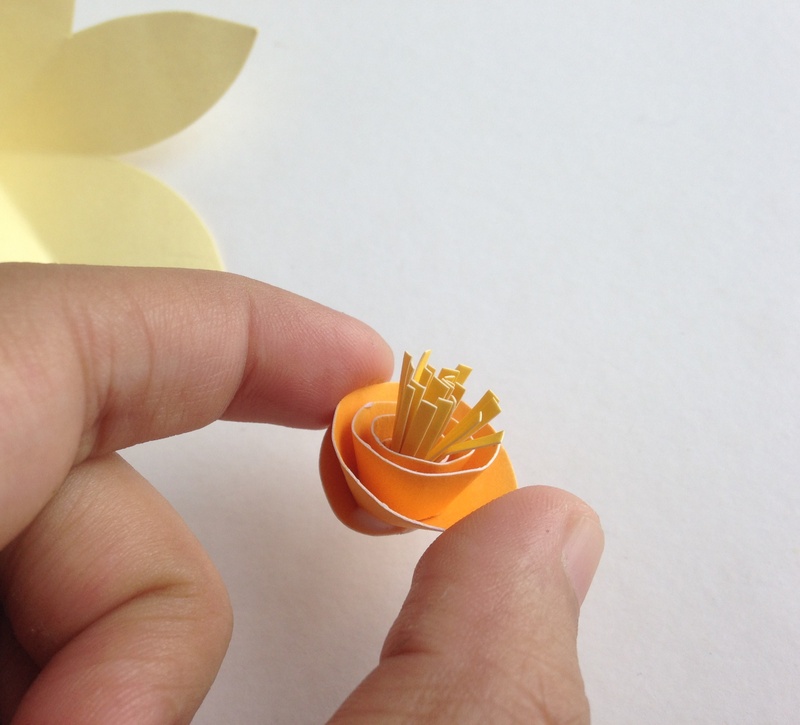 Roll the spiral cut out from its open end and continue to roll until reaching the center; Glue the roll with the center to create a rolled flower. 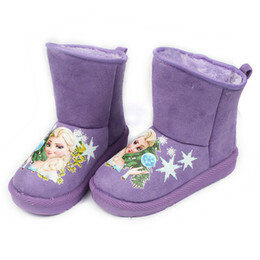 Take the fringed cut out and roll it along its intact part, keeping the fringed end open. Glue at the end of the roll to secure it. 6. Place and glue the rolled fringed pattern in the center of the rolled flower pattern. This will be the center of the flower. 7. Now glue the center part created in step 6 on the center of the flower pattern. 8. Fold each of the petals backwards and then release the fold. 9. Now squeeze the tip of each petal to create a pointy tip. There, done! In order to add these paper flowers to a vase, simply glue a pipe cleaner alond the back as a stem. Or top to pencils. 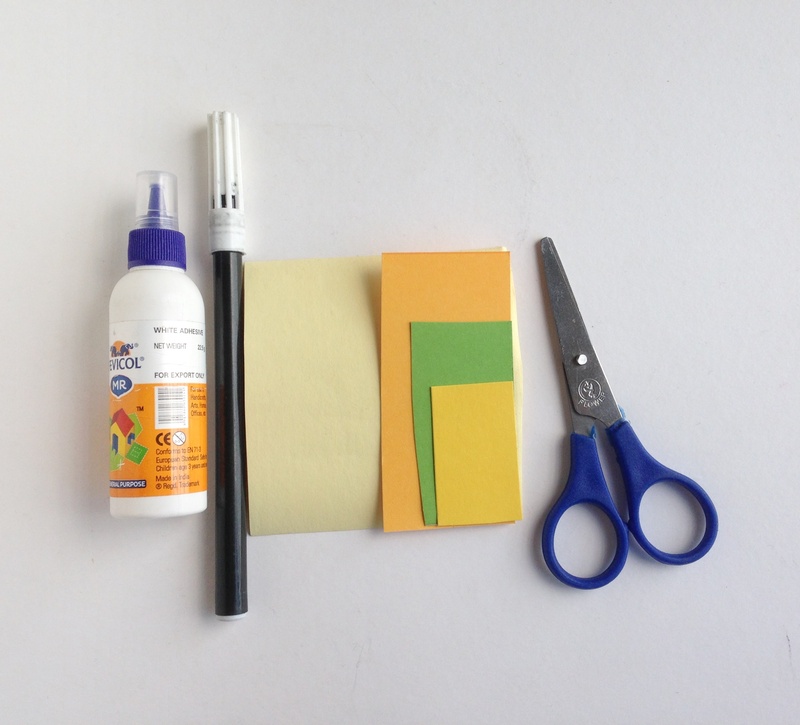 Use different colored craft papers, mix and match to create tons of variation!